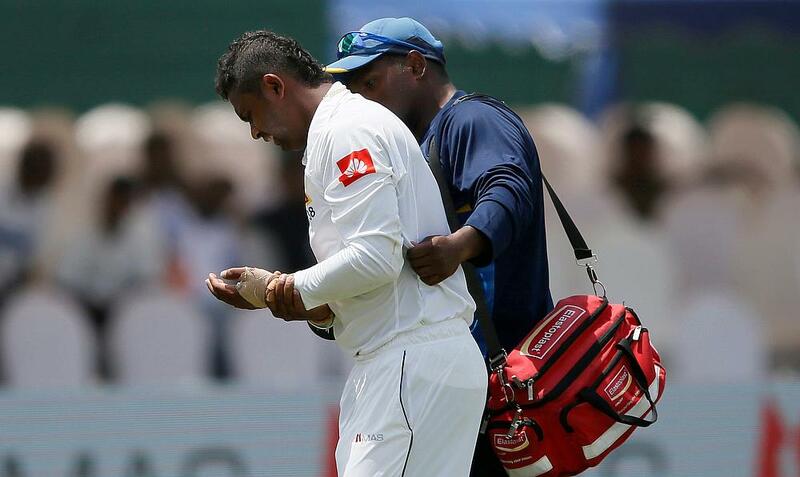 As a big blow to Sri Lanka's chances in the ongoing first Test against India in Galle, all-rounder Asela Gunaratne has been ruled out of the game after sustaining a fractured thumb. The incident happened during the 14th over of the game on the first day's play when Gunaratne attempted a catch in the slips off Shikhar Dhawan, who was on 31 at that stage but later went on to complete a fine century. 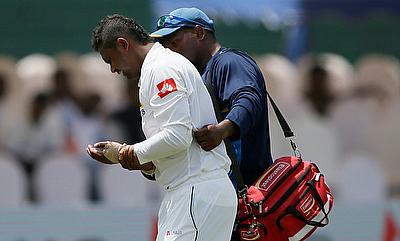 The 31-year-old upon further assessment rushed to Colombo for a surgery on his thumb and was later confirmed that he will not take any more part in the game. In his last appearance with the Sri Lankan team, Gunaratne went on to score an unbeaten 80-run knock to help his team chase down a record total of 388 runs to win the solitary Test against Zimbabwe in Colombo. Earlier, Sri Lanka captain Dinesh Chandimal was also ruled out of the game after he was diagnosed with pneumonia, allowing Rangana Herath to take over the reins. After India won the toss and decided to bat first, solid knocks from Dhawan and Cheteshwar Pujara put them in a dominating position of 199 for one after 40 overs of play on the opening day.